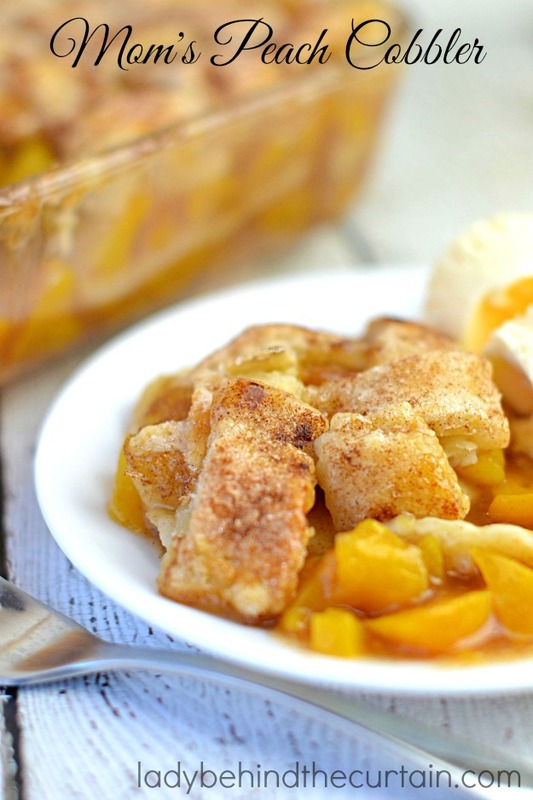 It’s a historical Southern dessert with a buttery dough, a crisp cinnamon topping and a sweet peach blend that will leave you weak in the knees. Peach cobbler is the best family gathering dessert and this recipe is the PERFECT way to express your love. Your mouth will water from just looking at it, but the insanely delicious flavors will keep you going back for more with no shame at all. None! Surprisingly easy. It’s hard to believe that something so satisfying and stunning could be so easy to make. The ingredients are simple and the directions won’t stress you one bit! Take it to the next level by topping it off with a scoop of vanilla ice cream. There’s just something incomparable to the combination of a warm, rich cobbler and a cool, refreshing scoop of classic ice cream. With a crunchy cinnamon topping and a tender pie dough that’s smothered in the sacred sweetness of peaches, this delicious dessert is perfect for any occasion — all year round! After years of searching for the BEST peach cobbler recipe, this one by Sheryl from Lady Behind the Curtain stands above the rest. It was passed down from her mom and for nearly a century, it’s been her family’s “must have” menu item at any gathering. Don’t let the homemade pie crust scare you away — it’s so easy and SO WORTH IT! 3 (29 ounce) cans of peaches with heavy syrup, drained and reserve syrup. Strain the juice from the peaches into a saucepan, add 2/3 cup sugar, cornstarch, 2 tsp cinnamon and 1/2 tsp salt. Mix and cook until bubbly, add lightly chopped peaches, heat through but do not cook. Layer in a 9-in.x 13-in. pan, half of the peaches, then a layer of pie crust rolled to fit the pan. Pour remaining peach on top of the pie dough. Add another layer of pie dough in a lattice pattern or simply rolled out to fit the top of the pan. Heavily brush the melted butter on top, then top it off with a sprinkle of sugar and cinnamon. Bake until bubbling and the crust is golden (about 50 to 60 minutes). Recipe adapted from Lady Behind the Curtain. SHARE THIS ARTICLE TO SHOW YOUR LOVED ONES THIS INCREDIBLE RECIPE!